I recently had a very interesting conversation. It started off as a conversation about a pound cake, I had made for a family dinner. And turned into a history lesson for me. I have a pound cake recipe that I make... which involves a can of Eagle Brand Milk. It is a recipe I picked up years ago at the State Fair of Texas. 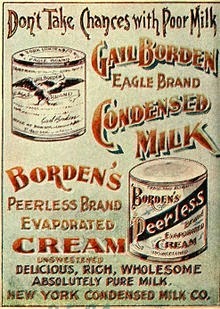 I looked at the Borden's Eagle Brand Milk site but could not find it there.... odd. Anywho.... as we were talking about that ridiculous rich pound cake... my Aunt mention how Eagle Brand Milk was once a standard food for babies. Just add water to that sweet gooey milk. It was normal to use it for fussy/hard to feed babies. I had no idea. 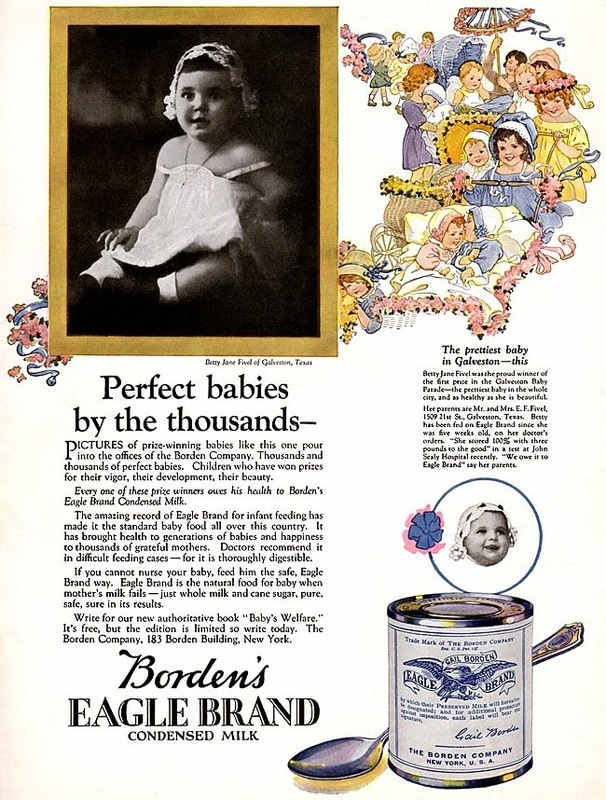 So I got online and went through Pinterest... and sure enough I located all kinds of fun vintage Borden items. 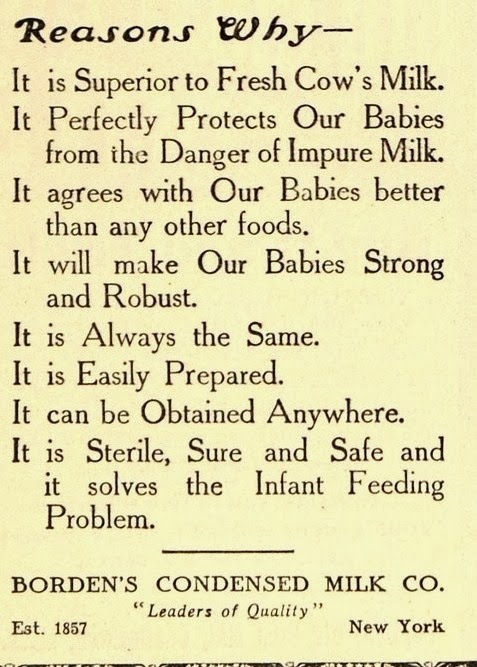 With the superior ways we have now to pasteurize milk and keep it cold.... 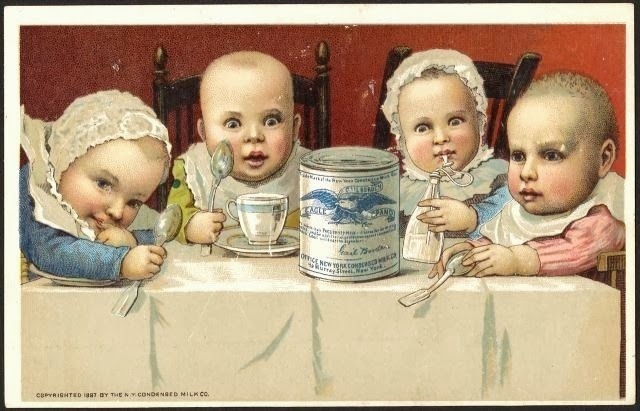 I know why this is not a standard baby food used today. But feeding babies fresh milk from the cow for decades... I can see how that might had been a little scary. Without proper refrigeration even now, pasteurize milk can get a little gamey on you. It spoils easily. 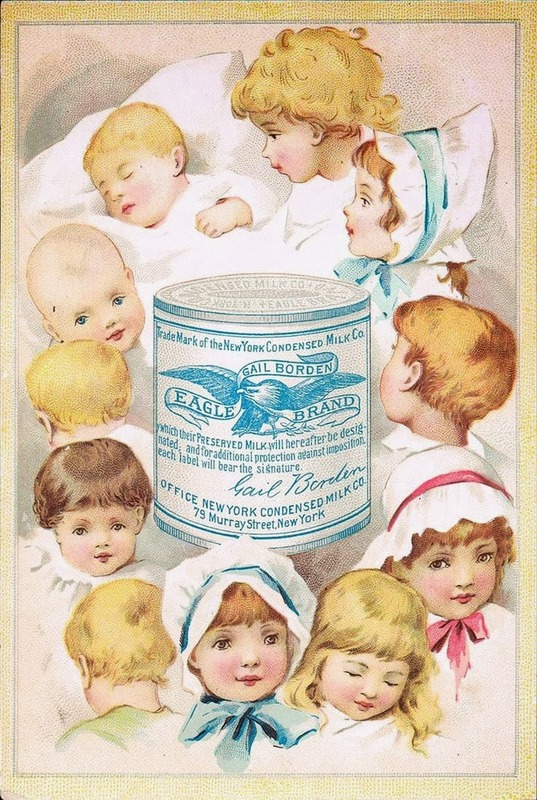 So I can understand how heat treated, sweeten milk... became a staple for feeding babies. 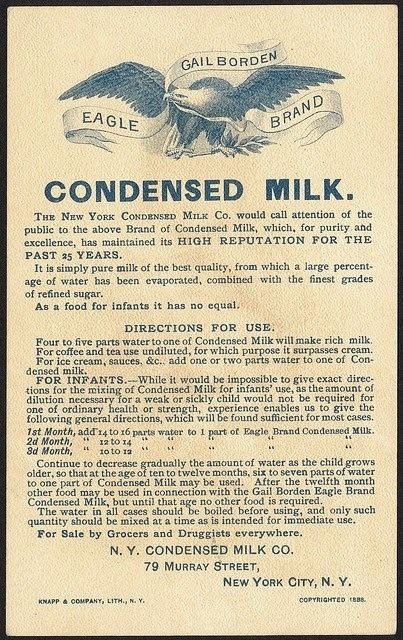 This is the Borden's Eagle Brand Milk letter of their outstanding reputation for 25 years. It is dated 1888. The oddest fact I read, for this magical can of sweeten condensed milk, it was a common staple for Union soldiers during the Civil War! With the great demand for the milk product, based really on the fact it would not spoil easily. Made it a perfect product that could travel well and shipped without issue to the field. So with the great demand for it during the Civil War, gave Borden's an incredible boost for the success it needed to thrived.